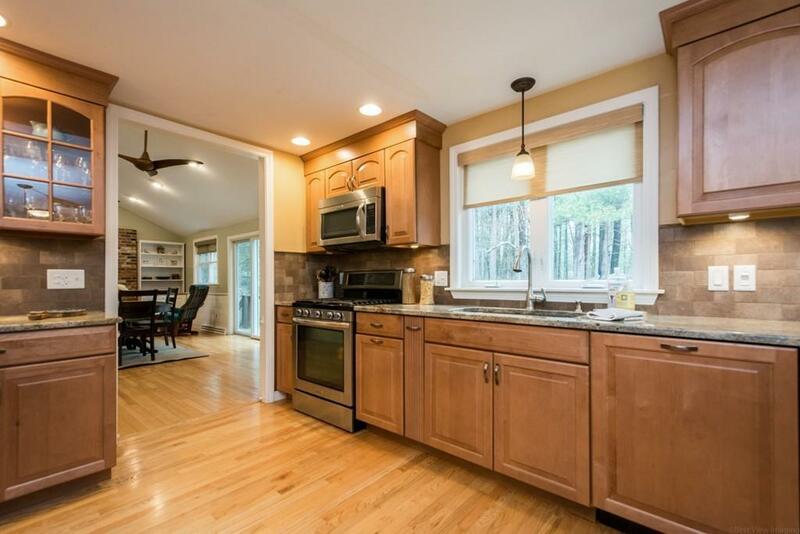 Fantastic, versatile 4-bedroom home in Westford Center neighborhood. 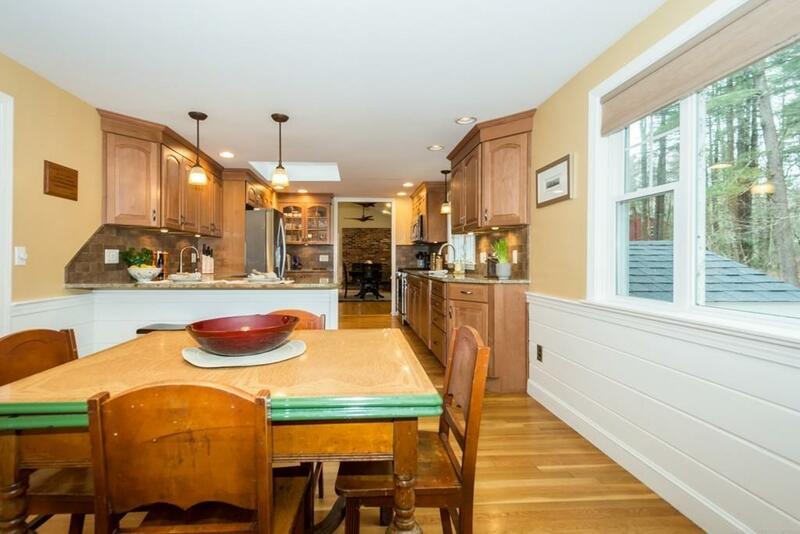 Updated kitchen with granite & SS appliances, prep sink, breakfast bar and kitchen window overlooking wooded backyard with a bridge over a babbling brook. Master suite is on the upper level and features skylights, 2 walk-in closets, large master bath with soaking tub and tiled shower, double vanity. 3 generous-sized bedrooms on main level all have hardwood floors; largest bedroom features en-suite half bath. Finished lower level has nice daylight windows and walks out to the backyard. Lower level has laundry, den, home office with custom mahogany wrap-around desk and cabinetry as well as large play/recreation space perfect for large game/movie nights.. Huge storage room on LL. Exterior & deck painted 2017, boiler replaced 2017, kitchen updated 2014, windows replaced 2014 (kitchen/dining/slider, master bedroom/bath) and 2018 (main floor bedrooms and baths). Custom built 10x12 shed constructed 2014. Driveway paved 2017. 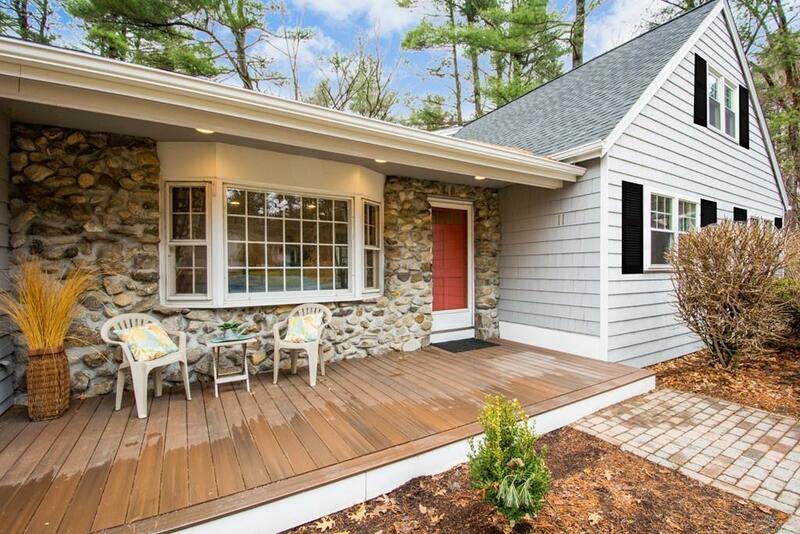 Disclosures Prep Sink in Kitchen And Kitchen/Family Room Windows & Slider installed Without Permit. Central Air On Main Level Only. Listing Agent is Owner And Licensed Realtor. 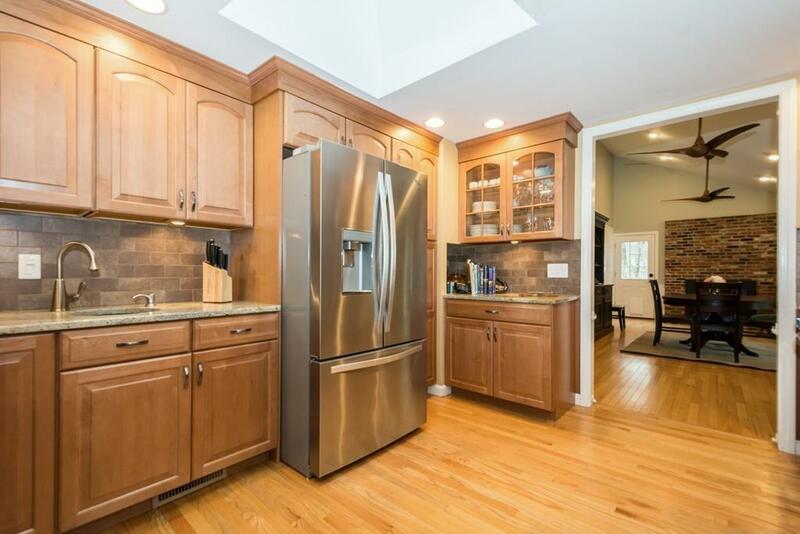 Taxes Do Not Reflect Updated Kitchen New Windows/Slider in Kitchen And Family Room (Used As Dining Room) And Finished Basement Office. Exclusions Green Built-In Cabinets in Main Level Bedroom And Basement Den.